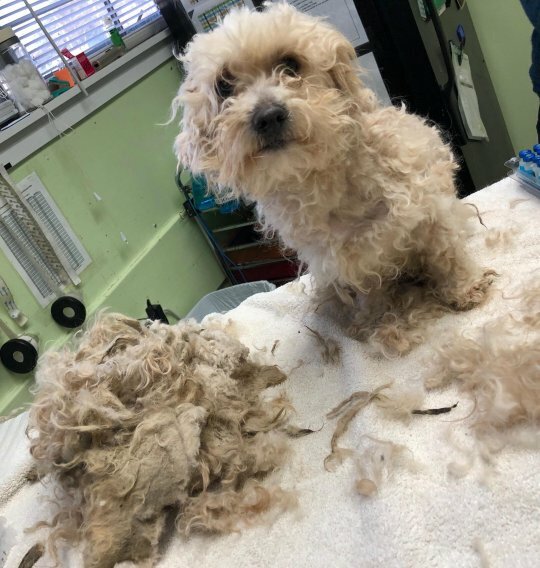 When nine bichon frises were found dumped in the parking lot of the Furry Friends Refuge in Iowa, their fur was so matted they couldn’t move. 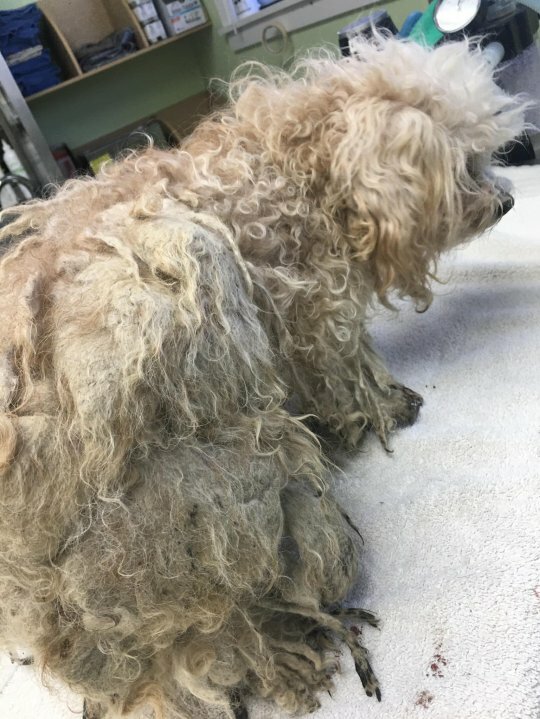 Trapped in wire crates, they were covered in fleas, in pain from the tension from their fur, and needed urgent care for ear and dental infections. The crates were so packed the dogs had hardly any space to wriggle around. But they were lucky enough to be spotted by a member of staff at the shelter, who quickly set to getting them the care the dogs so desperately needed. The dogs were clearly terrified, and didn’t respond well to being held. 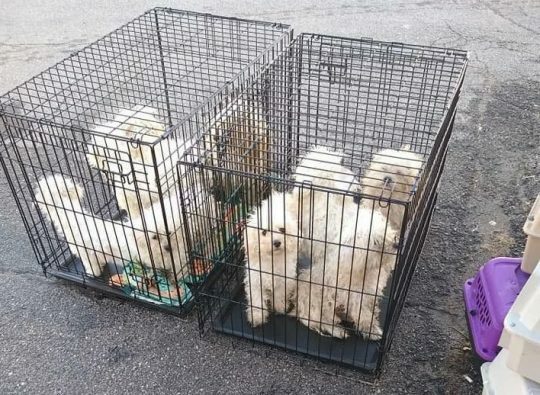 But as their matted, tangled coats were carefully snipped away, each of the dogs became a little more confident. That’s probably down to the fact that they could move again – being able to walk and play without their matted fur pinching their skin and weighing them down. 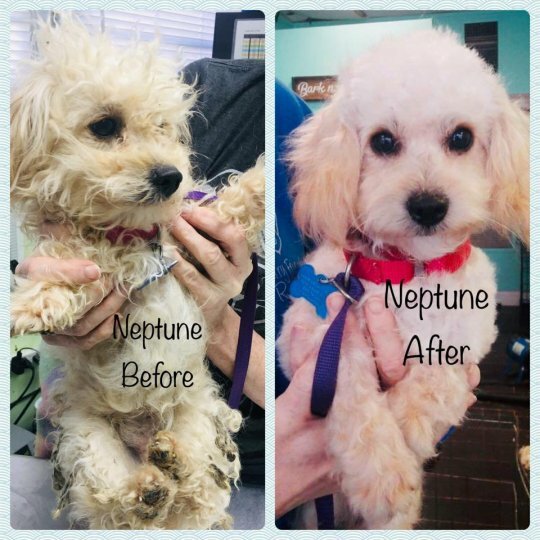 Having undergone a dramatic transformation, the dogs are now in foster homes. None of them are housetrained, and they have a lot of work to do before they’ll be ready for adoption. Having been treated badly by people before, it’s taking them some time to be comfortable around humans – but they’re making progress. Now, staff at the shelter are trying to find out how the dogs ended up in their parking lot.